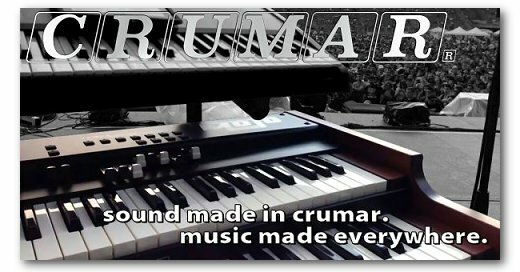 We at Crumar are proud to announce the release of a new update of our Tonewheel Organ engine for MOJO and Hamichord, the "VB3 Crumar Edition 2" that today reaches version 2.21, along with the control panel firmware for MOJO version 2.5. - VB3CE2 v.2.21 improves the rotary simulator and adds the function "Front Stop" that always tends to stop the rotary simulator in a "sweet spot"
The file is called "MOJO Update July 2014" and contains everything you need to update your instrument, start from the PDF you find in the root of the zip archive and you can't go wrong. Now go get the update and enjoy your MOJO!